Good Morning and happy holydays — whichever one(s) you celebrate. I did not intend to disappear last week, but as it turned out, the blast of New Moon energy coincided with a calendar chock-full of doctor’s appointments I’d been putting off — routine except for the ones designed to address the knee malfunction I’ve been experiencing after stepping into a pothole on an exact Mars transit to my Ascendant. No ballet and tap this fall. Astrology is amazing. The knee is going to recover. I am determined. Meanwhile, if there are any routine tests and appointments you’ve been delaying, take care those ASAP! You need to be in tip-top shape for the exciting times ahead. Put the oxygen mask on yourself first! Today the Aquarius Moon is void between 6:23AM and 11:31PM ET. Taking care of routine concerns is apt, as is rolling with twists, flakes and other upsets that may interfere with your efforts to move forward in a straight line. 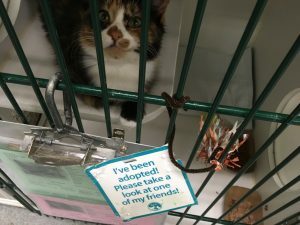 My current upset is Pepper, a five-month old kitten adopted the day before Thanksgiving and pictured below. Interjecting herself between my hands and this keyboard is her prime directive this morning. An Aquarius Moon favors the unconventional — but remember it is currently void, thus suggesting matters of little consequence. As I type, I see that retired neurosurgeon/celebrity author Ben Carson has been named to head the Department of Housing and Urban Development. It seems an odd choice, inspiring one to wonder about his qualifications and experience. Well, he might have a Taurus Moon, which does need to build material stability and comfort. Although with transiting Saturn putting a squeeze on his Virgo Sun in January, June and October, he may not be able to follow through completely on an ambitious agenda. For some reason this makes me think of a past life in network television, when the network would occasionally order an “Urban” promo. The copy would be pretty much the same as the non-Urban spot, except we’d hire an African-American to read it against music from a production library CD with a groovy name like “Urban Trax.” Did our Urban marketing messages connect effectively with our target audience? I guess so, because the network continued to ask us to produce them. This was many years ago, btw. I’m sure things have changed. I think my kitten Pepper would make an excellent Secretary of Housing and Urban Development. Tiny houses would rule. Moon voids for the rest of the working week: WEDNESDAY 9:05AM until 5:16AM ET on THURSDAY — a bit of a wandering adventure, much like today, only the Moon will be in soulful Pisces, seeking a vision and laced with exceptional feeling and (potentially) suffering. Other patterns of note this week: a cooperative connection between Mars in Aquarius and Uranus in Aries, favoring humanitarian, rebel-with-a-cause action, innovation and technology. 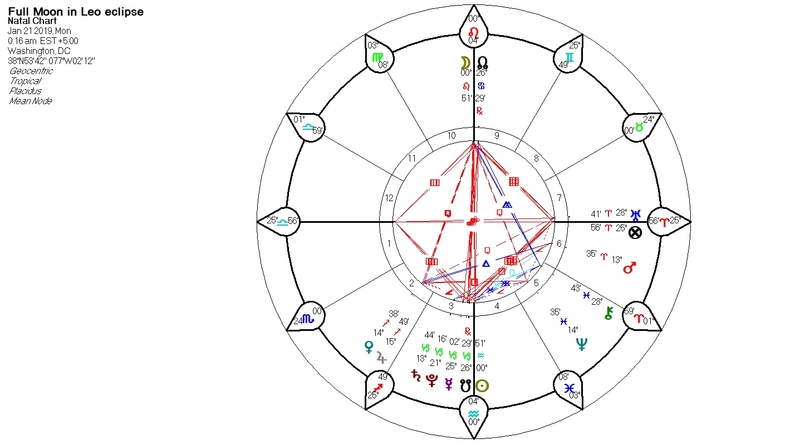 That alignment is exact TUESDAY at 10:30PM ET, and it follows another cooperative connection between Mars and Saturn (structure; authority) that was exact at 7:16AM on Saturday. On Wednesday we’ll have the First Quarter Moon at 4:03AM ET, suggesting a challenge or next step in the New Moon agenda you set last week. More on that in a minute. Also on Wednesday: Venus enters Aquarius (mantras: “I love you, but don’t take it personally” and “Can we still be friends?”). As we get closer to the weekend we will be seeing the reflection of the Sagittarius Sun’s cooperative contact with Jupiter on Friday at 4:39PM ET (expansive leadership), followed by the Sun’s annual meet-up with controlling Saturn on Saturday at 6:51AM ET (restrictions and structure imposed by Authority Figures). If you were born around the 10th of December, March, June or September your energy may be feeling a little pinched or restricted as you focus on essential concerns or ambition. A personal consultation about your strategy and timing would be beneficial. Here’s the 411 on consultations. About last week’s New Moon — which was at 8 degrees of Sagittarius and thus directly affected anyone with that degree of Sagittarius, Pisces, Virgo and Gemini in their horoscope. Don’t know where your degrees are? Order an Astro-Basics Report and you’ll find out. Plus I will tell you how this New Moon and next week’s Full Moon is likely to affect you. 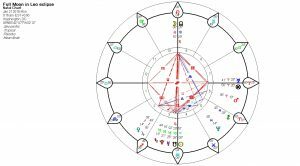 The New Moon was tightly configured with Neptune — suggesting issues of vision, water, oil, lies, victims, drugs would be front and center this cycle. Add to this the need of Sagittarius: to express its righteous opinion and push boundaries. What have we seen so far: righteous protests at Standing Rock over disputed boundaries, an oil pipeline and a fresh water source appear to have been resolved in favor of the rebels with a cause (Uranus in Aries) when the Department of the Army (Mars in Aquarius) announced it would seek an alternate route for the pipeline. Let the record show that Mars and Uranus are in a pattern known as “mutual reception.” Mars is in the sign ruled by Uranus. Uranus is in the sign ruled by Mars. Thus we expect cooperation between the issues symbolized by the two planets, e.g., innovation and humanitarianism working effectively with martial action. This would be an upside potential. There is also a downside potential. Which would you prefer? The Sabian Symbol for the New Moon is “rocks and things forming therein.” Sabian Symbol guru Blain Bovee notes that this suggests “the inner space where things like oil, water, diamonds and minerals are formed…crucial resources…[these things] can be material or immaterial.” We are advised to be mindful of opportunities during this cycle to release a pressure cooker of energy that has built up, for purposes that may be creative or destructive. We have a choice between “shoring up old ways” vs. clearing a path for something new. For the record, when set in Washington DC — the seat of the U.S. government — the New Moon is in the 12th house of the chart — suggesting no small amount of backroom dealing going on — potentially obfuscated with the smoke and mirrors potential of dazzling and duplicitous Neptune. We do not know what we do not know — and this is a concern. Old news from the week of November 21st — reflecting what can happen under patterns suggesting heavy thoughts and controls in matters of politics and education, combined with women who are empowered and extremely resourceful. The thinking is broad and idealistic, a bit short on details. Poster children: 1) Betsy DeVos, who is Trump’s pick to become Secretary of Education. She’s a billionaire philanthropist (reflecting the abundance suggested by Venus in Capricorn square Jupiter and Pluto). She’s never gone to public school or sent her kids to a public school — and seems to be against the whole concept of public education (Saturn conjunct Mercury in Sagittarius). Think big! Fun Fact: Ms. DeVos actually has Mercury conjunct Saturn in her horoscope! Born Jan 8 1958 — no birth time available. And she has transiting Pluto about to meet up with her 17 degree Capricorn Sun — suggesting a major change of perspective and potential empowerment. And she will soon be having her second Saturn return, too. What a year she has ahead of her. Then there’s Jill Stein, who zooms out of nowhere to launch a recount effort in three swing states and is able to raise millions of dollars — $7 million so far of the $9 million needed (because the states involved keep raising their filing fees) — within days. Dr. Stein says the recount is necessary to preserve the integrity of our election system — a righteous opinion indeed. I am sure errors will be found, if those recounts are completed. I am certain because I served as a poll worker on Election Day and saw first hand how human error and ignorance — along with technical snafus — combined to prevent voters from casting a ballot that would count. Will the recount make a difference? Will the Electoral College vote to elect someone other than the current president-elect when they meet on December 19th? I do not know. However, I am certain that if we act like we are mere spectators in someone else’s drama, nothing will change. For confirmation I give you Beth Owlsdaughter’s Tarot card for the Week — and read the one for last week, too. Jill Stein is a Taurus with Moon either in Aries or Taurus, with rebel Uranus prominently placed in her horoscope. Her fun fact is her Mars at 22 Virgo — provoking Donald Trump’s Sun-Moon opposition in Gemini-Sagittarius. And also likely provoking Hillary Clinton’s sensitive Pisces Moon if that Moon is at 22 Pisces. Another fun fact: Dr. Stein’s Sun and Mercury are at 23 Taurus, shining their light on Trump’s Midheaven (point of career and status). One could argue that without Dr. Stein’s energy in the race, Mr. Trump would not be where he is today. Astrology is amazing. On Friday mental Mercury was at the very last degree of opinionated, foreign-oriented Sagittarius. This is also the Aries Point, suggesting broad-reaching opinions and transmissions would be prominent in the headlines. The current president-elect has been pleased to reflect this potential, indulging in a phone call with the leader of Taiwan (a country the U.S. does not have diplomatic relations with, thereby upsetting China); and tweeting 1) that he actually won the popular vote because that millions of votes were cast illegally; and 2) that SNL is not funny. Factually, one of those tweets is a lie; the second is a matter of opinion. The United States is not the only country facing upsets and uncertainty in these interesting planetary times. The Prime Minister of New Zealand resigned. So did the Prime Minister of Italy, after a so-called populist coalition defeated an alleged establishment-backed referendum. In Austria, a right-wing populist was defeated in a re-do of the presidential election; the victory went to an independent who — according to this Guardian article — successfully addressed concerns that had made his rival so appealing in the first vote. There is a lesson to be learned here. That’s it from me today. More inisghts can be had as follows: Book a consultation to get clarity on what you can expect in your own personal world in 2017. Order a written report for yourself or a friend. Get the 2017 Mercury Retrograde Survival Guide Bookmarks — the next retrograde happens on December 19th! I will happily send you one for $3.88 or three for $5.99, along with a personalized note of thanks for your support. Just click on that link to the Cosmic Tip Jar to make payment. Then reply to this forecast with your postal address and I will send bookmarks to you with good cheer and gratitude!